. . . so that you can focus on Results! Our mission at Prism Group is to help create and foster win-win working relationships by helping assisting our clients employ the right people and developing the right things so that they are set up for success. 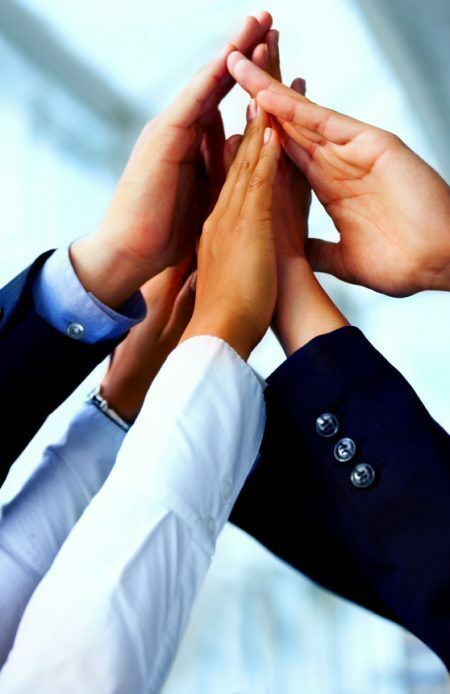 As a result, you will have a workplace that is engaged, feels rewarded, fulfilled and one that is focused on results. Too much time and energy is all too often spent on dealing with people problems or issues rather than having everyone focused on what needs to be accomplished in order to move your organizations forwards towards its goals. Issues we often hear include individuals that are creating toxic work environments, lack of timely and relevant feedback, lack of team unity, poor performance not being addressed, individuals not willing to address issues directly with co-workers, bias in selection processes leading to less than ideal new hires… to name a few. We are here to help. If you are a progressive-minded leader, then let’s talk. Our first step is always to listen to your story. What is it you want to stop, start, see more of or see less of? Once we have a good understanding of your situation and objective, we can propose a solution that will help you meet those objectives. Our goal is always to leave you, your team and organization equipped with new tools in your toolbox that continue to support you long after our exist. If you want to create more win-win employee-employer relationships so that you have more time to focus on your real work, we would be pleased to listen to your situation and begin discussing your particular requirements and potential solutions. Interested in some weekly brain food? 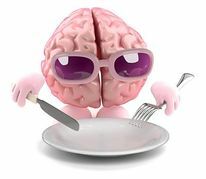 Click on the “join” button below to sign up for our Brain Food Friday e-zine. 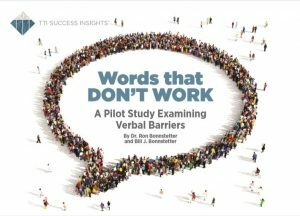 New findings from a pilot study conducted by Target Training International’s Center for Applied Cognitive Research suggests the way we communicate with one another and the words we choose are vitally important. In fact, what seems to be critical is avoiding the wrong words: words that seem to fit the discussion from our point of view, may actually result in negative reactions when interpreted by others. Join our subscriber list above to receive this report! © 2019 Prism Group Int'l. All rights reserved.